Facebook has 2.27 billion monthly active users, but to gain more visibility on the platform, you must know Facebook’s most important features in order to market your brand and business effectively. This article will show twelve crucial Facebook features that you should be taking advantage of today to attract more leads, and ultimately boost your sales. In Facebook Insights, the Pages to Watch feature allows you to keep an eye on your competitor’s pages so that you can compare engagement, activity and your audience growth. It’s especially useful if you want to see what is and is not working for your competitors: How often do they post and what particular content is working well for them? What drives the most engagement? Armed with that knowledge and insight, you can tailor your content and game plan accordingly. 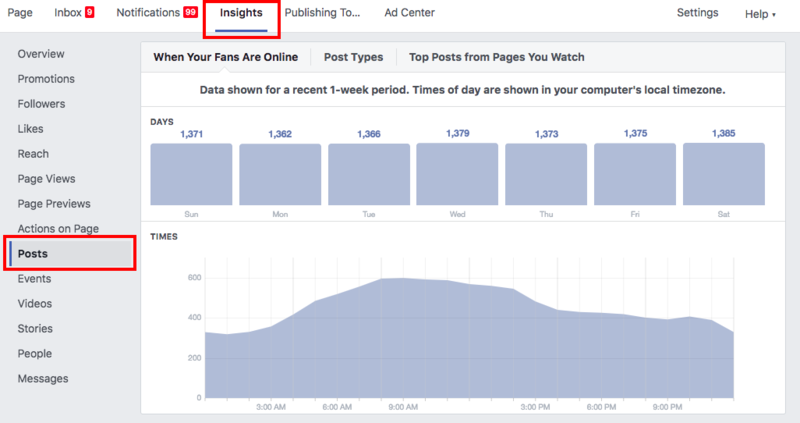 If you’re looking for information on how your audience responds to your marketing tactics, you can export your Facebook Insights files so that you can improve your content strategy and drive engagement. Think about how Facebook provides a great depth of data and analytics in your business page. You should familiarize yourself with these vital data and statistics that are helpful in improving your business goals. To download your Insights data, go under the Insights tab. There you will see the “Export Data” link; click it. A pop-up window will appear. Select the “Page data” among the three choices to download the engagement metrics of your Facebook page. You may want to opt to download your data once a month and save a copy of that file. That way, you’ll have access to it anytime. 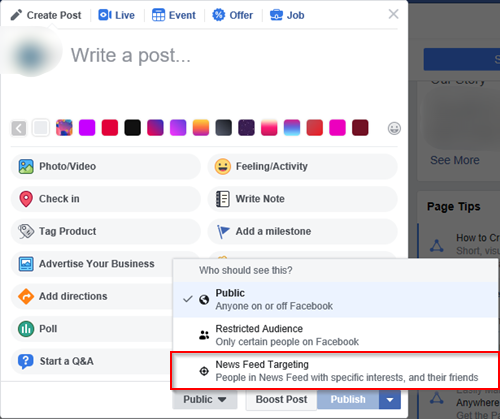 If you want to boost your news feed exposure, then you can improve organic visibility through the platform’s Audience Optimization feature. As Facebook caters to an increasingly massive audience worldwide, it’s also becoming saturated by other brands, so it’s a challenge to increase visibility in your feed and come up with engaging content for your target audience. To activate this feature, go to the Settings tab, then click on General, and the look for the Audience Optimization for Posts section. Tick the checkbox to allow this. Save the changes you’ve made, and the targeting feature will now appear. By using the organic post targeting tool, you can specifically target your audience based on their interests. Doing so creates a massive opportunity to optimize your content and your page for engagement. Audience optimization improves your outreach efforts, so you can target the people who are most interested in it. 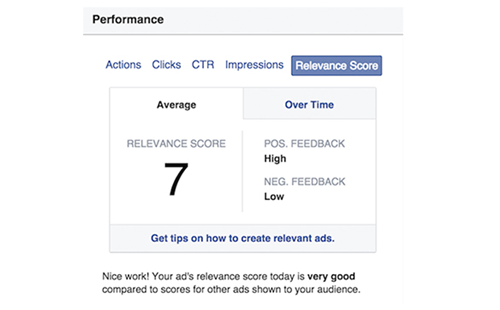 Facebook’s relevance score metric measures the effectiveness of your ads. This score is an essential ad quality signal as it directly affects the ad delivery, as well as the total costs on those ad campaigns. Here’s how it works. There’s usually a negative and positive feedback factor in the overall relevance score equation. Positive interactions are conversions and video views, while negative interactions are when people hide your ads from their dashboard. 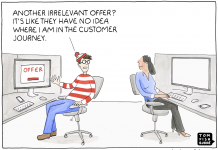 The moment people report or hide your ads, then your overall relevance score tends to suffer. Over time, as people interact and view your ads, that score will be updated on a regular basis. The higher your relevance score, the lower the cost your ad delivery will be. So the more ads you produce that are both relevant and timely for your audience, the more Facebook will reward you for it. A good advertising campaign includes using stunning, high-quality images that have the capacity to wow your audience. This means that you always have to find incredible photography to market your business and brand. But did you know that you can use Facebook’s free stock images? Currently, there are over 25 million Shutterstock images that you can choose from to find the perfect photo that goes well with your brand! It’s every marketer’s dream to create highly engaging ads, useful integrations, and a laser-focused targeting campaign. However, the most compelling of all is the powerful targeting ability of Facebook Pixel. So instead of building your network on Facebook’s self-serve ad tool, the feature does this for you. As a result, it makes the entire process easier and faster. More than that, it also improves the effectiveness of your ad campaigns. Facebook has feature wherein you can save specific items on your list to read later when you have the time. It allows you to keep different items that range from places, movies, music, and TV. You’re also the only one who can see your saved posts, yet you have the option to share them with friends. You can go back to these items later on by hitting the “More” tab on mobile or the “See More…” link found on the left-hand corner on Facebook. Did you know that it’s pretty simple (and free!) to gain additional likes on your Facebook page after you finish with a specific campaign? Simply scroll down your Facebook page and look at the posts that you’ve promoted in your recent marketing campaign. Then click through the blue-thumbed icon found underneath your post. That will show you the people who liked your specific post. You can then see who liked your page and who didn’t. 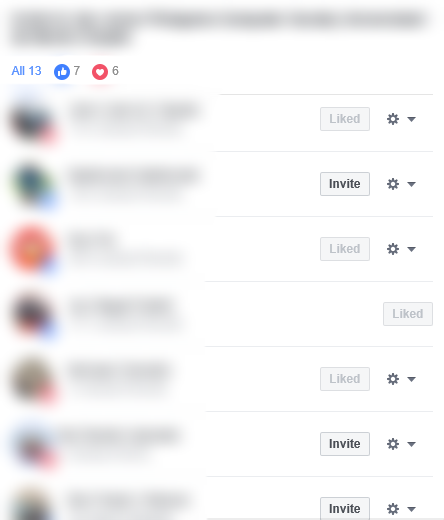 If they haven’t “liked” your page yet, you can invite them to do so by hitting the “Invite” button. If you want to know what the best times are to post on your page, then it’s time to gather useful data on Facebook Insights. This tool is essential if you want to improve your content marketing efforts. It shows you when your fans are mostly online by day of week and time of day so that you can choose the best times to post. Also, by viewing the reach and the engagement of your posts, you’ll have a better idea of the best type of content to post. By knowing the engagement rate, you’ll see the success of an individual post. Regularly reviewing these metrics helps you better understand the type of material your audience is most responsive to. That way, you can create more compelling, high-quality content in the future. 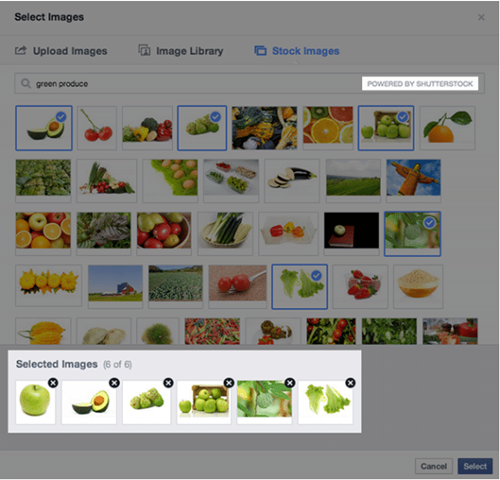 Facebook’s Create Multiple New Ad Sets feature allows you to make more than one ad at a time – meaning that you can create multiple ad sets in age segments, location, and custom audience in just one campaign. When you’re targeting ads, it’s quite hard to identify your target audience. Try testing different target audiences to figure out which one delivers the best results. One effective way to create a split-test campaign on the platform is through the “Create Multiple New Ad Sets” feature. While Facebook Pages are not as useful as your website, they do tend to rank high. As more people come to Facebook looking for vital information about your business, one of your main goals should be keeping your page in top shape. Although Facebook pages aren’t customizable, you are provided with options on organizing different parts of your page. You can select from the several layouts Facebook has, like Standard, N0n-profit, Business, Restaurants and Cafes, etc. So plan accordingly. What are your goals? If you have a lot of loyal customers visiting your page, then you might want want to display the “Reviews” section on the front and center to show potential customers what others like most about your business or brand. Other essential elements also include your profile image, cover photo, and about page. The bottom line is that you need to optimize your layout for success. See to it that it makes a good impression on anyone who visits your page and remember to keep it consistent (in terms of color theme, logo, info) with your website. Did you have a Facebook post that received high levels of engagement (likes, reactions, shares), and you want that to be visible to your audience, not just for several days but for weeks? Find a particular post that you want to pin on your timeline. Click the “More” icon (the three dots) on the upper right side of your post. You can also pin posts to any Facebook group that you manage through group announcements. The only limitation is that these are posts can only be pinned one at a time. Also, you can opt to set an expiration date on these posts. That way, they will automatically disappear, so you don’t have to worry about forgetting to remove them when they aren’t relevant anymore. Pin your latest or best-performing blog post to boost your traffic. Make announcements in groups about upcoming events. Utilize announcements to make other members aware of the group rules and to maintain peace and order. Rotate pinned posts every once in a while. Boost your Facebook Audience Insights. You might be missing out on some of the most vital Facebook features that have the most potential. Although Facebook has been around for over a decade, some marketers are only using its basic features. By using these handy Facebook features to your advantage, you’ll save more time and effort, boost your likes and improve your ROI. PS. I have a Facebook page with over 250k followers but even I didn’t know some of the features above. Live and learn! (I’ll definitely be testing news feed targeting from #3 soon).